We all buy things from time to time that we don't really need. Today's average household has never had so many material goods. We buy things because we think they will make us happy, however when you have run out of cash to pay the bills, those gorgeous new high heels or that exciting new PlayStation game isn't going to be of much comfort. "It is in fact experiences that lead to happiness rather than material things". 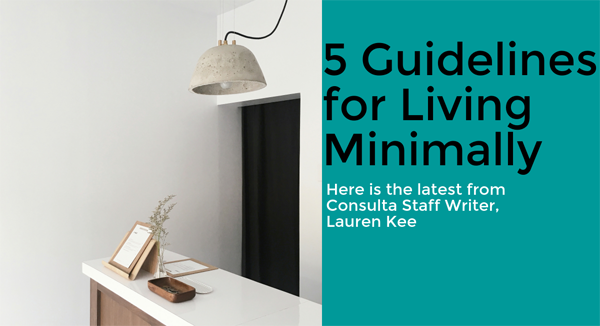 To read the full post "5 Guidelines for Living Minimally" click here. What are your top tips for a minimal lifestyle? Log in and leave a comment below!